Veterinarians and animal shelter workers have something in common: increased risk of the condition known as compassion fatigue. And if you’re a shelter veterinarian, you may just get a double dose of its burden of emotional numbness, strained interpersonal relationships, anxiety, sleep disorders, and health problems. For Dr. Sheilah Ann Robertson, a veterinarian boarded in both animal welfare and anesthesiology currently teaching at Michigan State University, the specters of stress and suicide were starting to hit close to home. Dr. Yin was a veterinarian and animal behaviorist renowned for developing handling and restraining strategies designed to reduce fear and stress in animals. Her suicide in 2014 haunts many veterinarians, particularly those who work with and in shelters. In the Online Maddie’s® Shelter Medicine Program, students struggled to make sense of it, and director of distance learning Dr. Terry Spencer realized they were themselves demonstrating signs of compassion fatigue. 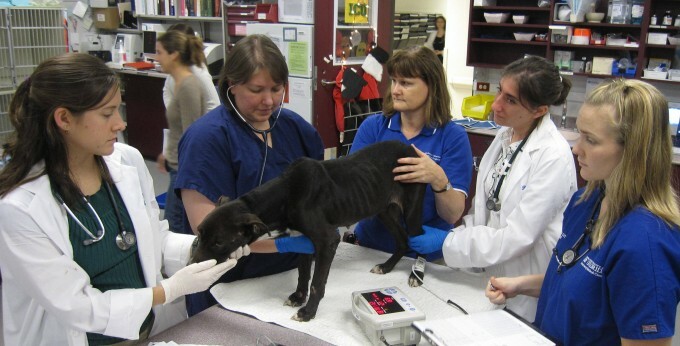 The problem was compounded because many of the veterinarians in the course felt they had little or no influence with management, no way to make things better for the animals, and no control over shelter policies, including those relating to euthanasia. Before her death, Dr. Yin had given them permission to use some of her training materials in the courses. News of her suicide broke in the middle of a behavior course taught by an instructor who knew her. The ensuing grief and shock were a powerful message about the stakes of the problem. She went on the hunt for someone who could help fill this gap for her students. Two former residents in the shelter medicine program had met certified compassion fatigue educator Jessica Dolce at a sheltering conference, and highly recommended her. “We’re not the only profession that gets compassion fatigue,” Spencer said, “but I’d had no idea there were certified educators in the field. And here was Jessica, who was applying her knowledge specifically to the animal caring professions, and doing it online.” The program launched its “Compassion Fatigue Strategies” course in the summer of 2015, with Dolce at the helm. Five years after Dolce stopped working at the shelter, she started doing research into what exactly had gone wrong during her time in animal welfare. “I basically stumbled into compassion fatigue,” she said. She became a certified compassion fatigue educator, and dedicated her work to helping people in the animal welfare and veterinary fields. That was exactly what almost happened to Dr. Lawrence Garcia of the Broward County Animal Care and Adoption Division, who was ready to get out of the shelter field when he enrolled in the new online course. Dolce didn’t just teach her students what compassion fatigue is and how to recognize it; she gave them tools to prevent it. Robertson also learned to create “work-home” transitional rituals. “I now try to do something to separate work and home, even if it is just making sure I don’t go home in my scrubs,” she said. For some students, a few minutes with pen and paper made all the difference. “The ‘Jot on This’ idea was very helpful,” Robertson said. “Just spending 5 minutes writing about a problem or an issue.” She also takes the time to write down three things to be grateful for every night before she goes to bed. For Dolce and Spencer, online was the obvious place for those discussions to take place. “We wanted to bring this resource to people who are out there doing that work,” Dolce said. “To learn about compassion fatigue, they would have to go to a conference, or maybe an organization would bring someone into the workplace for one day.” Online courses can be fit into a working veterinarian or shelter staffer’s schedule. Convenience and access aren’t the only values of the online approach. “What has become clear over the last couple of years of running the program is that online students disclose more than they will in a face to face class or at a conference,” said Spencer. The course will be back in the spring, with enrollment open to 100 students. “If we can help save someone’s life, as at least one student told me, then I’m willing to keep doing this,” Spencer said. 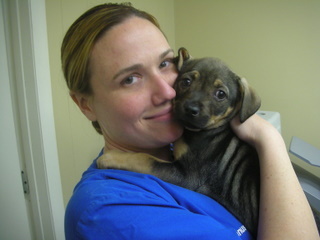 To learn more about this or any other course, email sheltermedicine.edu@vetmed.ufl.edu.